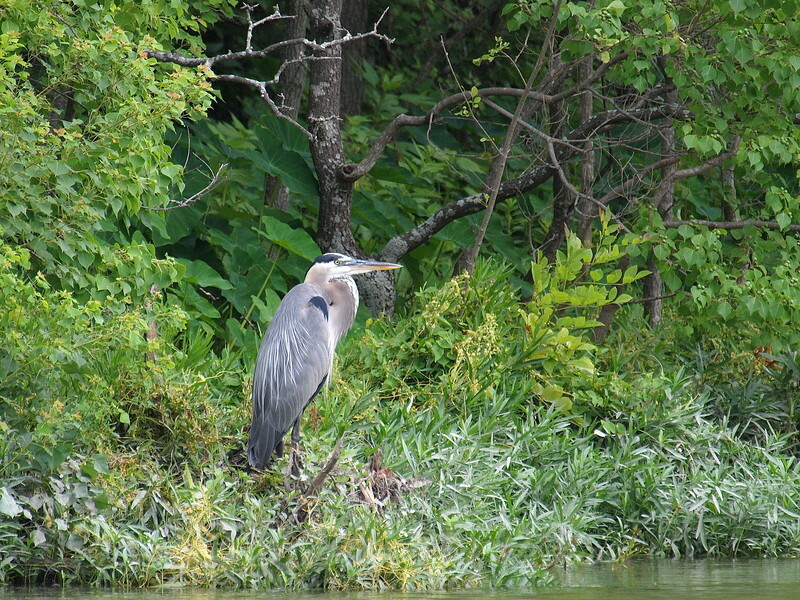 Even from a distance, you can tell an adult great blue heron from the white on top of its head. In this shot you can also see some of the breast plumes, sometimes called its beard) showing. Juveniles don't have the breast plumes. The bill not as good a predictor, this adult has some dark on the top bill although not as much as a juvenile would have.